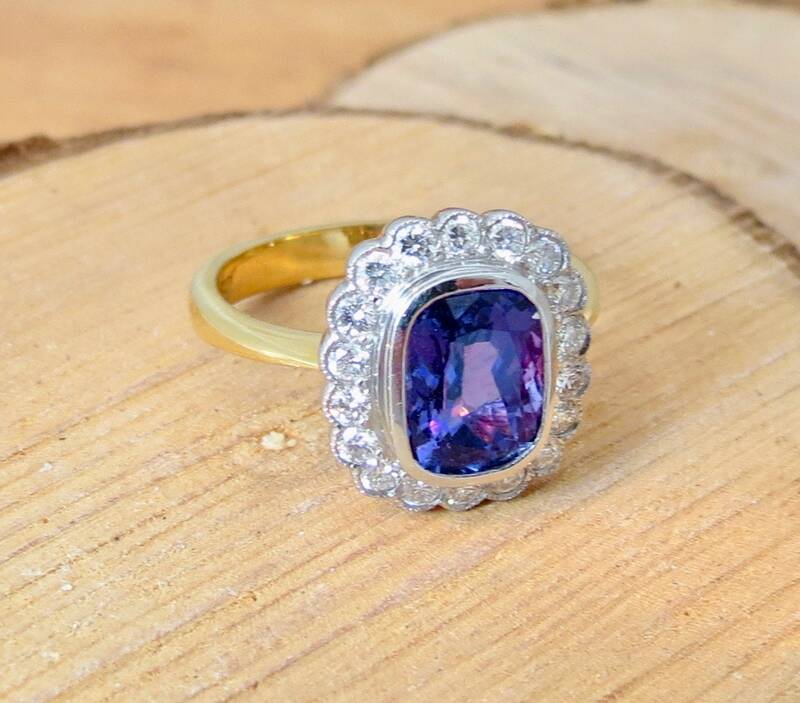 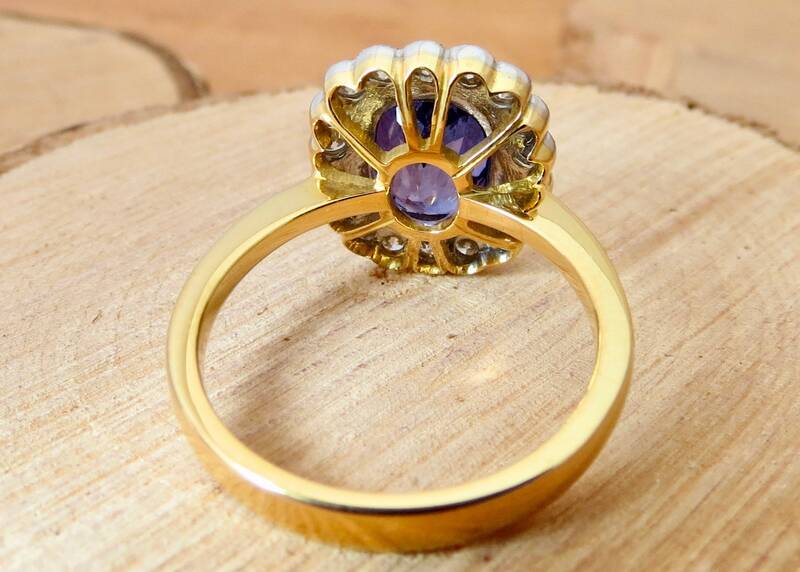 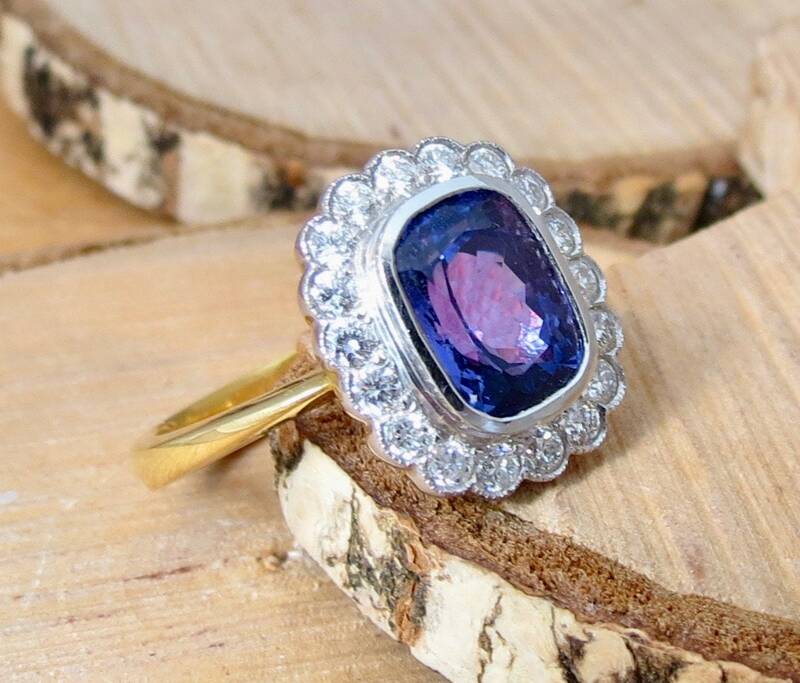 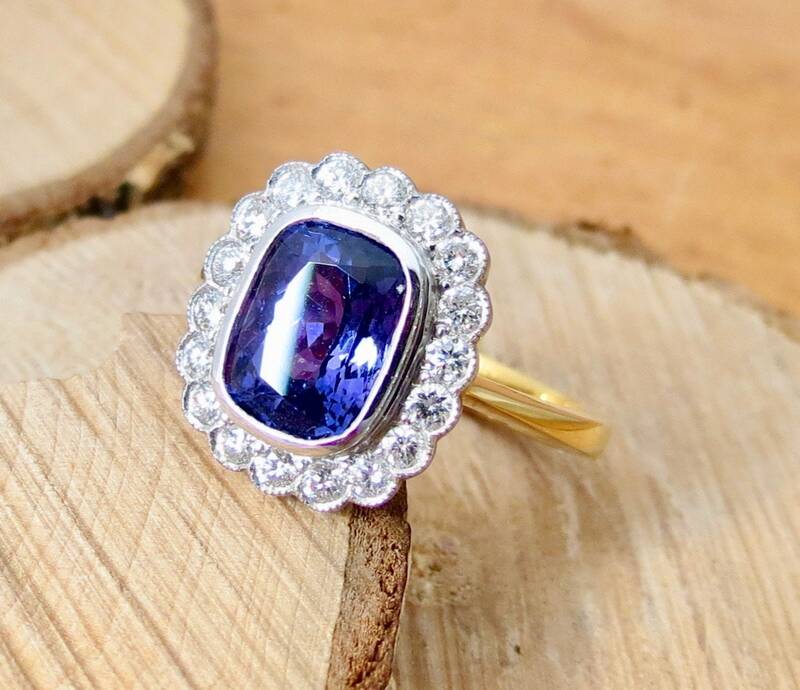 18K yellow gold 2 1/3 carat tanzanite and 1/2 carat diamond ring. 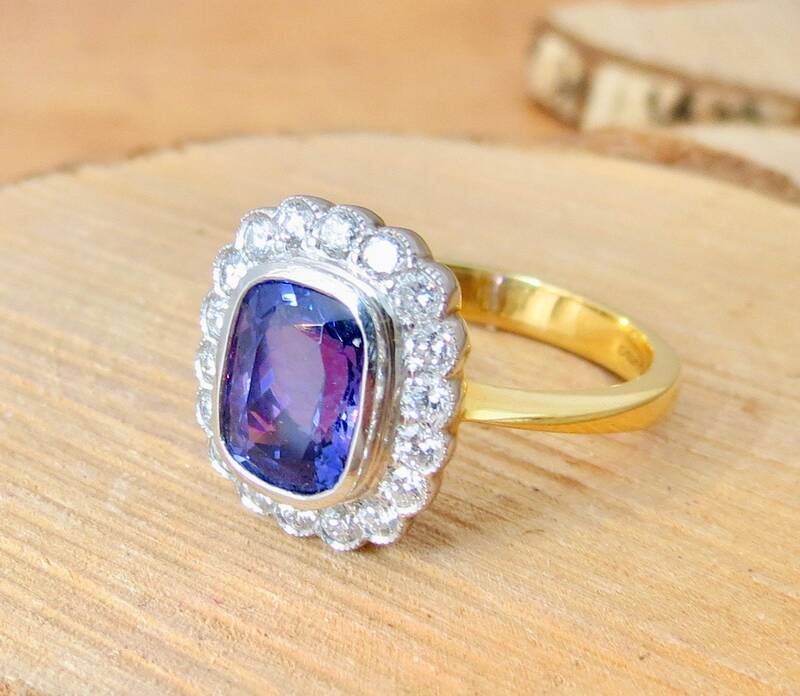 This 18K yellow gold ring has a sub-rectangular cross cut tanzanite set amongst a halo of brilliant cut diamonds. 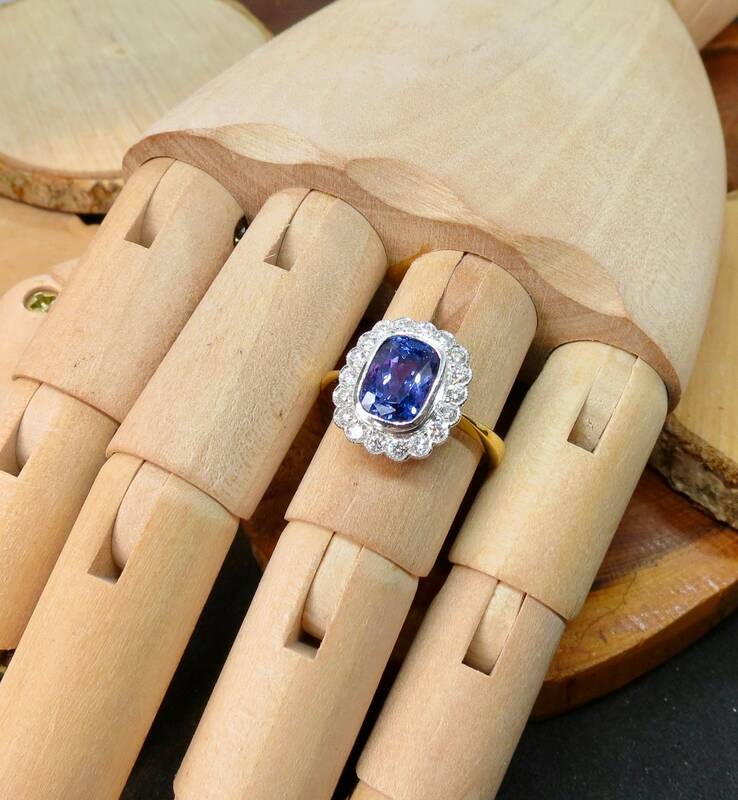 A high grade tanzanite, weighs 2.35 carats, is well saturared with stunning colour, clear with a fine cut, no scratches or chips, unworn, mint condition. 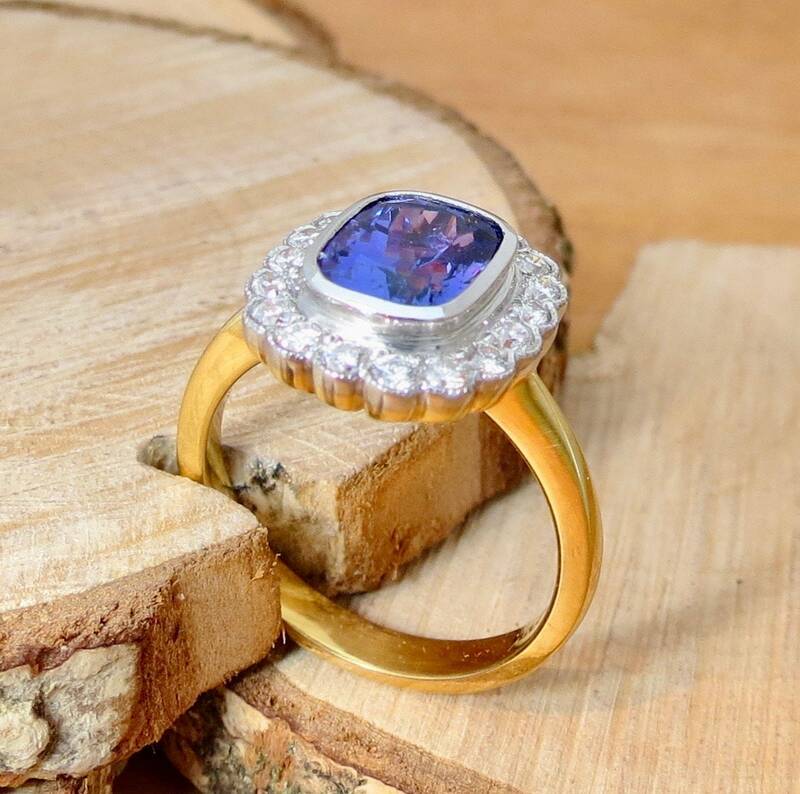 The diamonds, 18 in all have a total weight of 0.48 carats, brilliant cut, well matched, H-I colour, VS1-2 clarity. 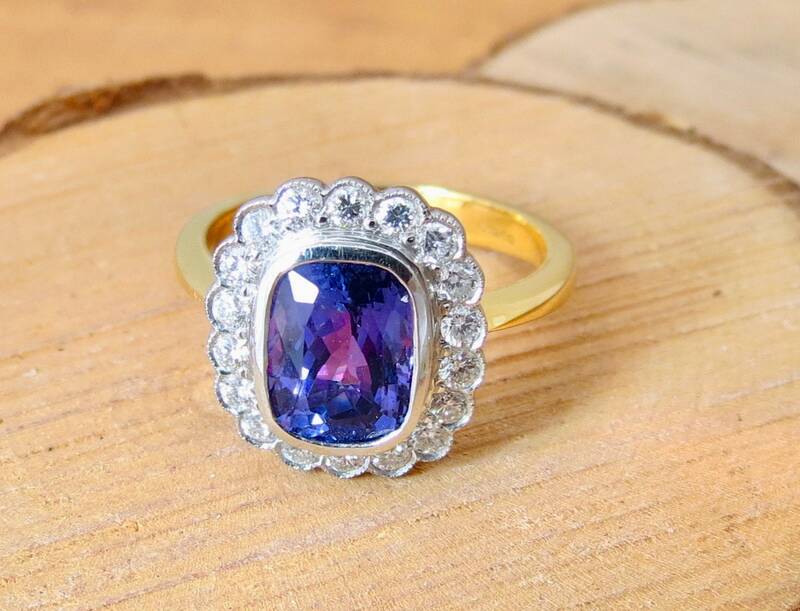 Tanzanite is the blue and violet variety of the mineral zoisite belonging to the epidote group. 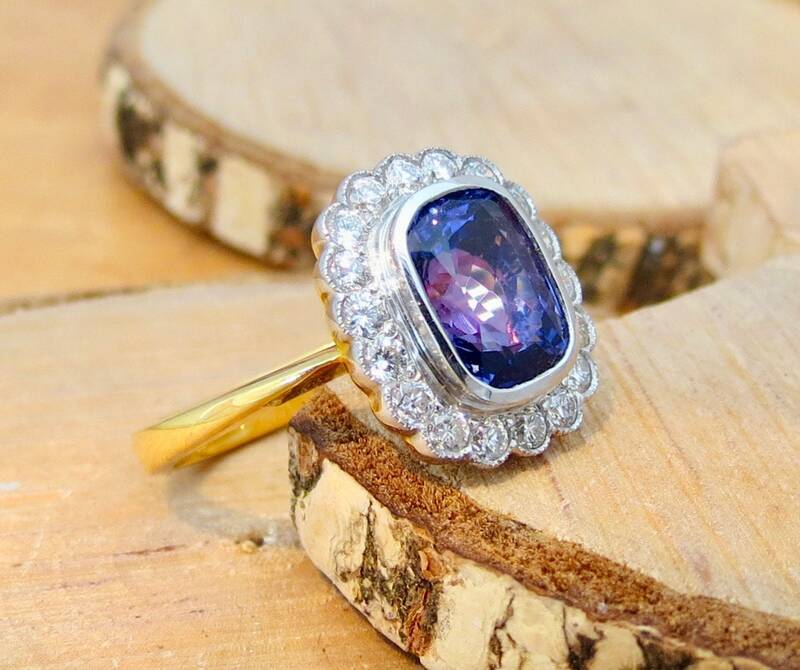 The gemstone was discovered by Manuel d'Souza in the Merelani Hills of Manyara Region in Northern Tanzania in 1967, near the city of Arusha and Mount Kilimanjaro.